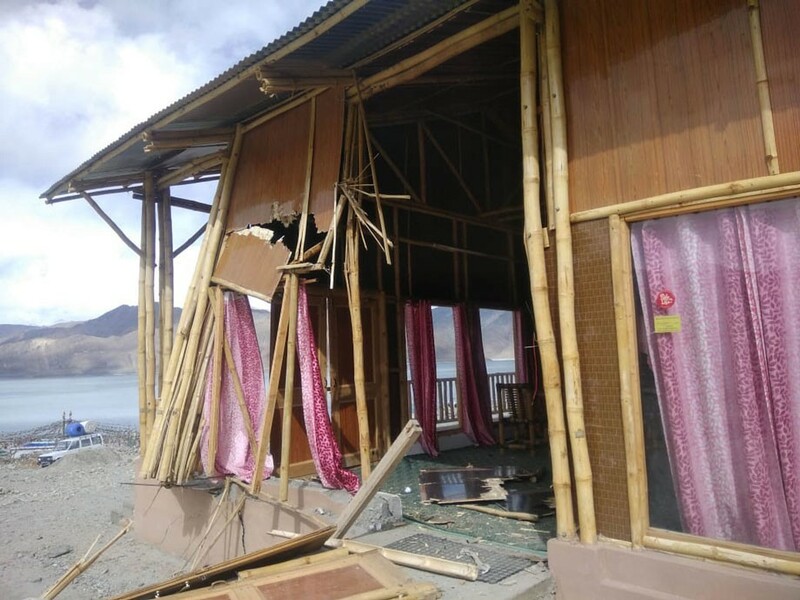 District administration, Leh has demolished commercial set up along the banks of Pangong Lake on April 10. In the year 2018, the J&K high court directed the district administration to remove all the illegal business establishments close to the lake to ensure 'sustainable tourism' in the area. Showing resentment, the villagers of Spangmik marched towards the Sino-India border. However, the protestors were stopped by the army at the border personnel meeting point (BPM). The Supreme Court had in 1987 declared the Pangong Lake area Changthang Cold Desert Wild Life Sanctuary and has issued strict instructions not to disturb the lake area. Before demolishing the illegal structures, several notices were issued to the camp owners but they failed to follow the instructions of the government. Reacting to the decision, the camp owners got a stay order from J&K High Court in September 2018. On April 8, Sarpanches of five Halqa Panchayat submitted a letter to Avny Lavasa, DC demanding land for five halqas in Pangong to set up business. Pangong Lake was first opened for tourist in the year 1994 and the business setup was initiated by the tourism department.